Ola familia! Amo voces! thank you so much for the birthday love that everyone sentttt! Sorry I can’t respond to everyone but know that it is VERY much appreciated. Still waiting on some packages from what you guys have said but don’t worry. Maybe they’ll all come in september and I can enjoy the goodies on the flight home hahaahah. Watch it’s gonna happen now. 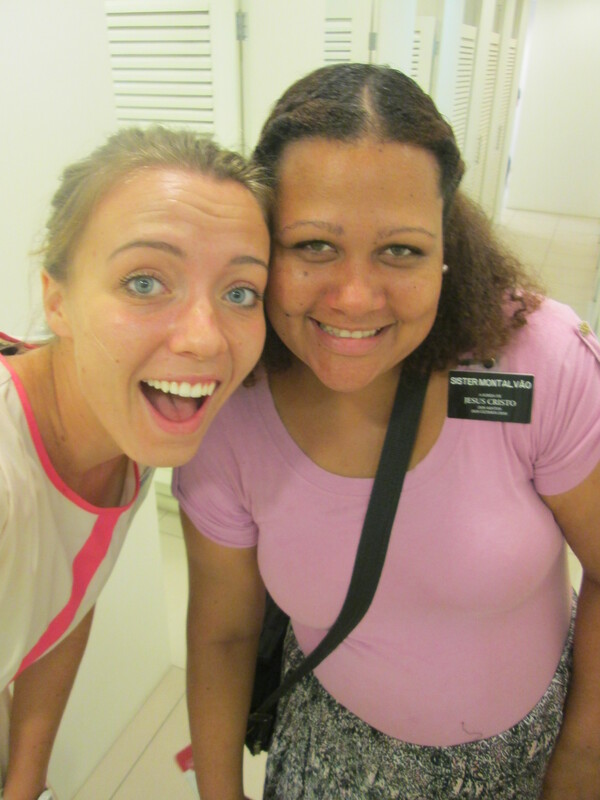 So this week was awesomeeeee-slow with lessons wise sadly because of the conference and temple trip but THAT WAS SO AWESOME. 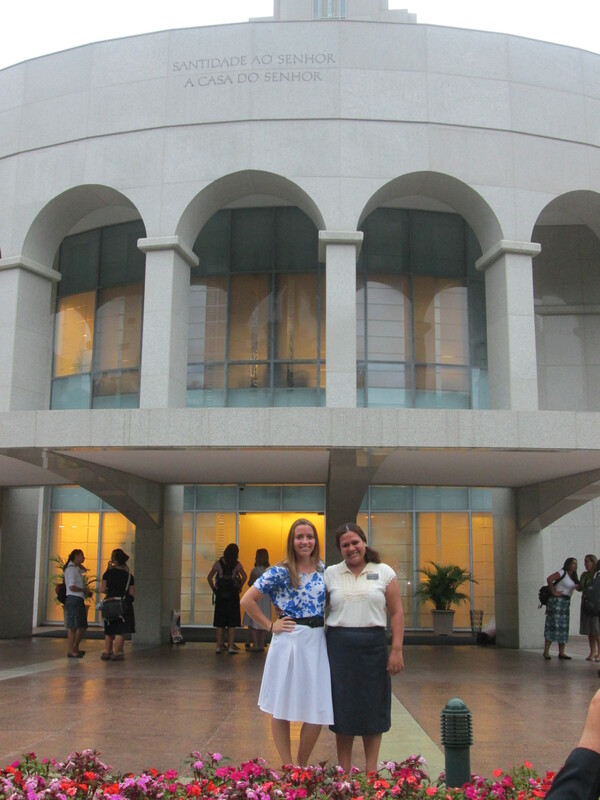 WE are so blessed to have a temple in our mission. I want to live close to a temple someday. When I’m home I will definitely be going to the vancouver temple every week and same with rexy when I head back to BYU-Idaho. I really learned a lot this week about qualifying for the work. As I was sitting in the celestial room in the temple that phrase seemed to stick in my mind. D&C 4:5 “And faith, hope, charity and love with an eye single to the glory of God qualify him for the work”. Later on I did some scripture digging and was looking the the topical guide under Priesthood, qualifying for. I was pleased to read about some attributes that lead us to be qualified for the work (in this case) and here were some thoughts that I had/learned that I’d like to share. I was thinking that many people even some members find our lives as missionaries very limited by the manner in which we live. 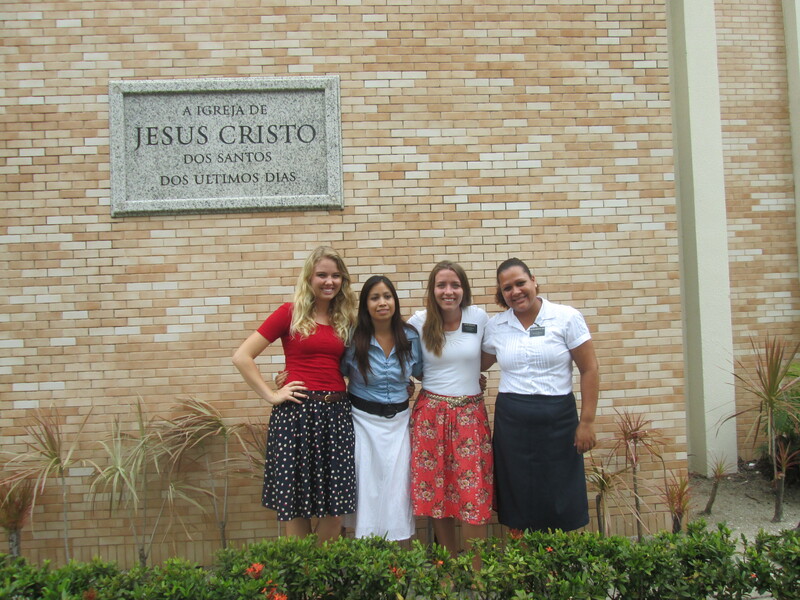 However I know that that rules, and our lifestyle as missionaries is for us to be qualified for this work. The work of what? Salvation. The work of who? Heavenly Father-therefore there is NO question that those who participate need to step up to be worthy and ready to play on this team. To fight in this battle. So I’m pretty stoked to be apart of it, to have played this role for this last year and will continue to for the next 5 1/2 months. I have been refined, and molded in the hands of my Heavenly Father. I’m still kenzie but….a better kenzie 🙂 I feel like I haven’t changed but I know I have. It’s so gradual and yet so profound-so neat how that works. Some pictures from the temple and mission conference. 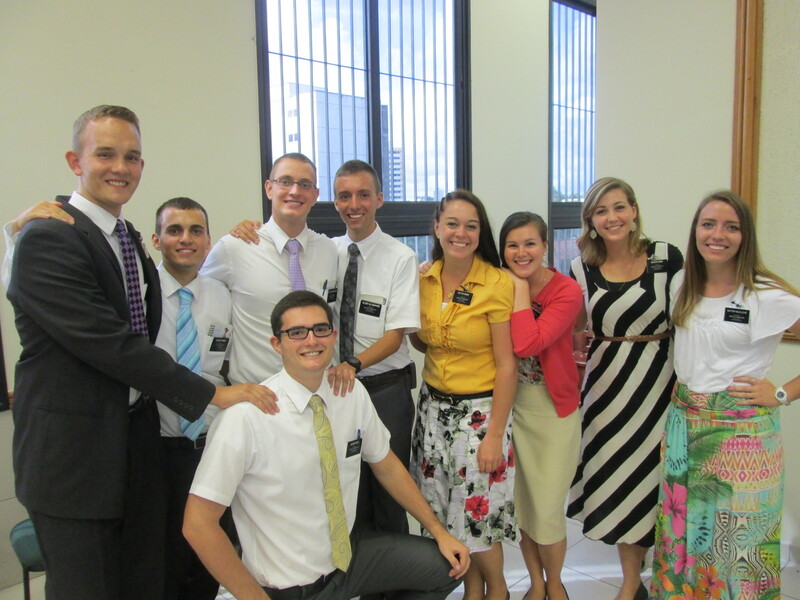 Our MTC district was almost reunited!!! TRs live on. Thank you Uncle Bryan. 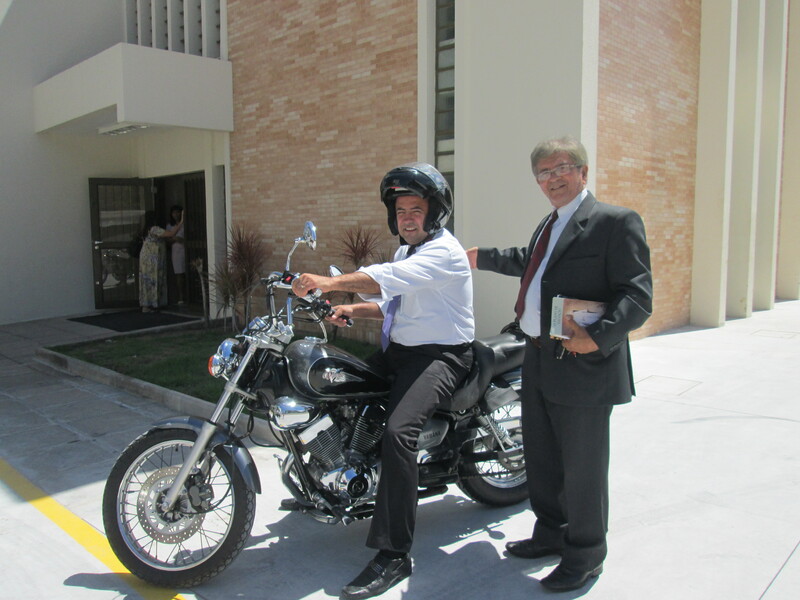 My ward mission leader (Irmao Liandro). This is his ride to church-so radddd. Also my sistas showing me some birthday love! They all sang to me. It was so cute! My companion made me a carrot cake that we’re going to eat tonight. Hey sooo the internet crashed here 😦 in the middle of emailing you guys so I have to make this way short. Except for sunday morning which was solemn. Kind of scary there were 2 deaths on sunday. A shooting in the communidade where the majority of our investigators and recent converts live. So sad. The worst part is seeing families walking over with there kids (yes babies, infants, toddlers, EVERYONE) to go and see the dead bodies on the street…..I just can’t grasp it. My companion said growing up her mom would do the same thing. And today it still haunts her, she asked me how many dead people I’ve seen in my life to which I replied none. I guess the parents don’t think anything of it and then the children become accustomed to seeing these dead people everytime word spreads through the neighborhood that someone died. There were crowds of families as we walked past to go find out investigators to walk to church….my heart ached seeing the toddlers walking with there mom or dad towards the shooting site. Some things I just cannot understand. On a lighter note we’ve had some sweet new investigators youth wise Tiago and Milena (15 years old) that we’re working with. Pretty awesome-they are rad! I feel like an efy counselor again with these youth-love it. I miss efy I want to pay for all of these kids to go some day. EFY is amazing. 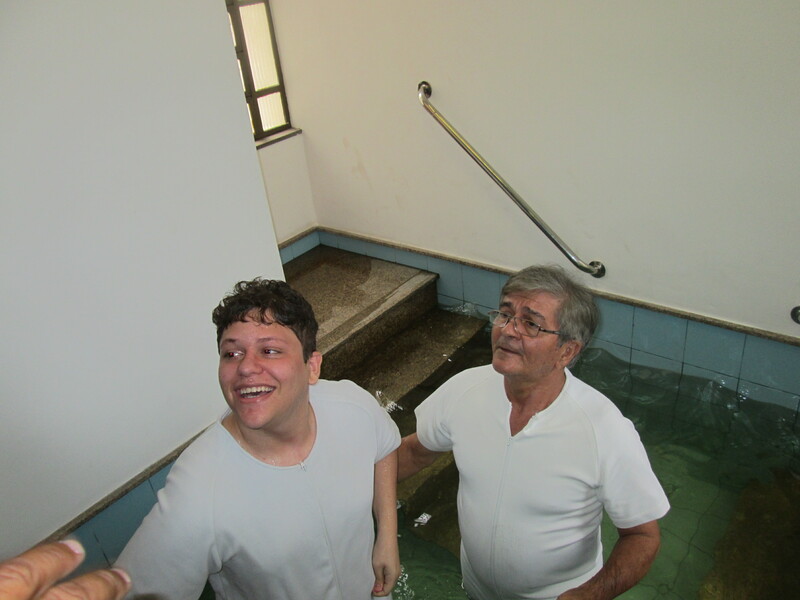 Also we’re finding LOTS of rapazes (teenage/young men) who an Elder Buerg a few years back apparently baptized and none of them have been back since. I want to have a chat with this elder…not sure if he was actually aware that these are souls we are saving…not just dunking people in water for funzies. Frustrating. But it gives us an opportunity to find more people to teach through references! ALso Edelson gave his first talk on sunday! Soooo awesome! I will have to translate it for you all when I get home, no time agora. Tender moment last night- I peeked in the yw’s room during an activity for personal progress and watched as Paloma was laughing and giggling with the other girls. It made me so happy seeing the joy in her face. I feel so blessed to have taught her and been there for her baptism. She will always have a very special place in my heart. 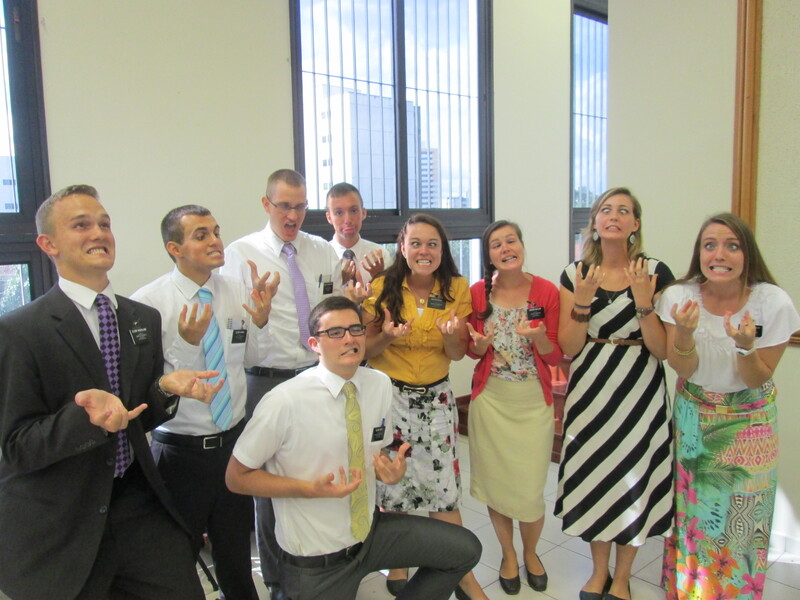 Moments like these you can’t find unless you’re doing missionary work. That is the truth. I love you all I hope you have a wonderful, miracle, spirit filled week. Heavenly Father hears and answers our prayers-had an awesome experience with that yesterday. Sister McCleve (MC-Levee) haha another nickname. WIll send pictures next week! Hey family….I feel really bad because I feel like this week wasn’t much compared to last week. It was pretty normal (nothing really exciting) except for the fact that Carnaval is over-thank youuuuu. And sadly we had to drop Sebastão and Auzira 2 very special investigators. I will explain (I know I haven’t really updated you guys with them huh? sorry).So basically sebastão had been going to church (4 times until recently) and continued taking the lessons with us. He had such a desire to know!!! ANd he acted-followed through on commitments awesome! While this was happening Auzira would listen sometimes and NEVER went to church. She claimed she had her catholic faith and that was it. Even though she said she doesn’t agree with some things in the catholic church to a point where she doesn’t attend. But of course every time we invite her to come to ours instantly she gets high and mighty saying “quit trying to convince me or I will definitely not go. I won’t make any promises that I’ll go but if you keep pushing I’m not going to go!” hahahaha She is the most stubborn woman I have ever met. And I do love her so much but sadly I guess now is just not the time for her and Sabastão. He was completely alone in this…going to church, reading the book of Mormon, trying to find out if these things are true. It made me realize the difficulties of marrying someone outside of the faith. NOT saying it is a bad/wrong thing, but I would imagine it being difficult if you and your spouse or boyfriend/girfriend etc. can’t come to grips with the same beliefs. This being said the other night we came over and taught the Word of Wisdom because Sebastão had continued to ask why we don’t drink coffee as members of the church. Well sure enough this discussion ended up being a make it or break it lesson with Auzira and Sebastão. As we tried comitting them to live the word of wisdom Sebastão told us basically; “look, I like going to church, I like hearing your lessons, I like you sisters-you’re like my own daughters, I like the members that I met and talked with at church I always feel good there and when you girls come to my home….but It’s hard to follow God and His commandments. It is hard to stay firm on the path. Right now I just can’t keep up with it all”. My heart sank so low….I wanted to cry. We talked more with him and Auzira interrupted telling us that our church was just another denomination like every other church. As we bore testimonies about the truthfulness of the restored gospel the spirit was there with us. But sadly Auzira’s heart remained hard and unopened…I bore my testimony and as soon as I said “I know that this is The Church of Jesus Christ”-she stood up and shouted “What about my church?! It’s Jesus’s too! Your church is new! In 1820, joseph smith started your church!…” I told her she needed to open her heart and ask God and she says “oh it is open!”. andddd that is when I started praying REALLY hard for patience and self-control. 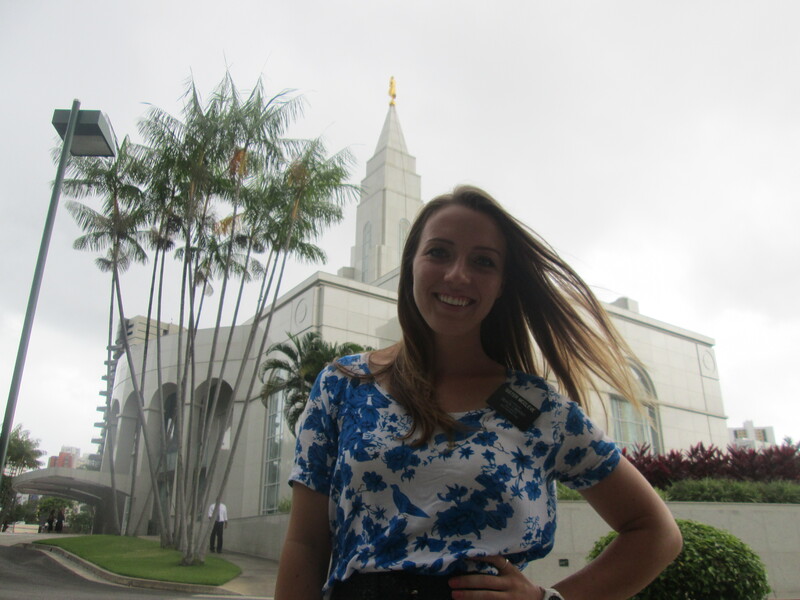 I am not here to argue with people…that is Mackenzie, not Sister McCleve haha really though. I am always trying to remember who I am representing, the Savior. 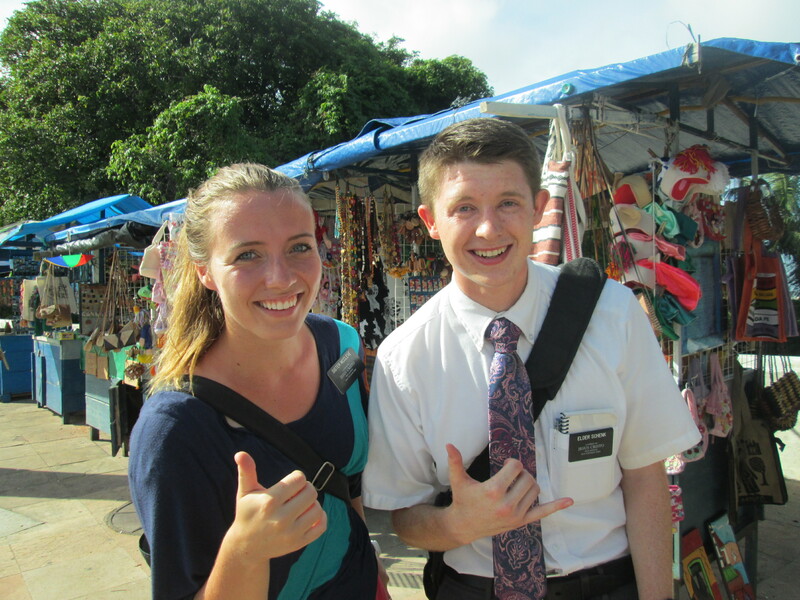 I have seen on my mission that The Lord can touch hearts….He can and WILL testify about the truth of this gospel. But at the same time the individual MUST have an open heart and a desire to know. 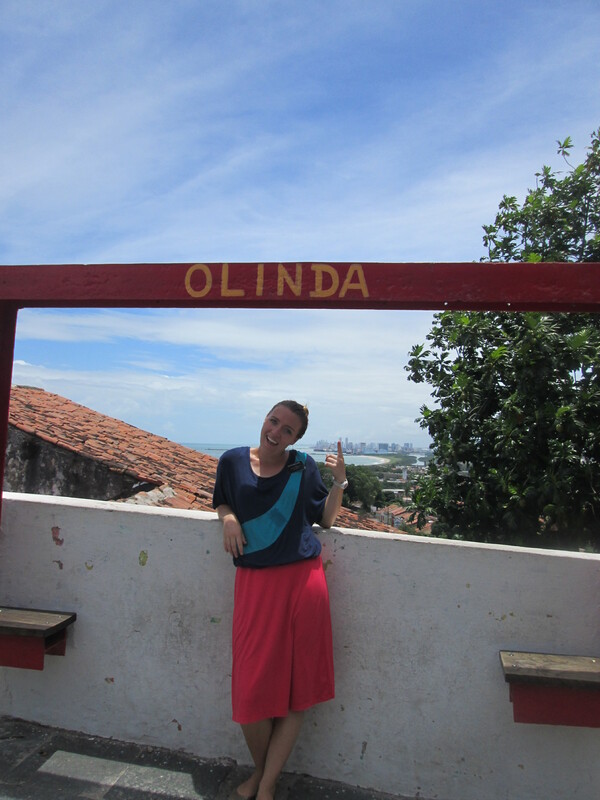 I know if Auzira really wanted to know if God had 1 church….HIS own church here on the earth, she could ask. But she is unwilling, maybe she’s afraid to know, sei la. But as missionaries we cannot and WILL NOT convince anyone of the truth. God will tell them. And that is why we IN VITE those we teach to always always always always take it back to Heavenly Father….ask Him not us. I have to ask Him myself many times if I am even in the right with all the rejection we face. He always confirms yes.He wants me here doing this. I wouldn’t still be here if it was on my own terms let me make that very clear. THis is God’s work family and friends. I am helping Him, not that He needs it because He’s all powerful and can do anything but He loves me, loves us enough to let us participate. I am so grateful for that. I love you all and please know how much your prayers are needed and appreciated by the missionaries all around the world. We are fighting in this battle between good and evil. The adversary is real-I have witnessed that more than ever on my mission. If we don’t step up and defend the faith then who will? So 1st of all we’re in a different internet house because the one we normally used is closed. This one is old school, and my keyboard is nuts (for example I can’t use the question mark symbol) needless to say bare with me with the conventional errors please. 1st question why is our normal internet place closed (question mark) Because of Carnaval. 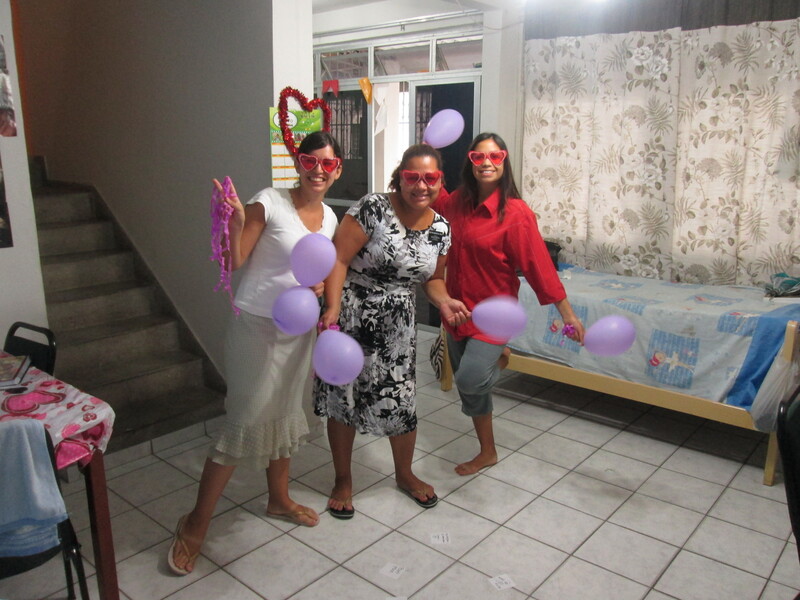 Yes the famous carnaval that everyone talked about when they heard I was going to Brazil on my mission. “Oh dudeee you’ll be in Brazil during Carnaval! It’s going to be nuts”-agreed. We have a curfew for 6 days (this past friday until this thursday) to be inside our houses/apartments by 5 pm. Because there are high/drunk people running around in the streets and loud music blaring etc. each night. During the day there’s huge parades or crowds of people drinking in dancing. It’s basically the great and spacious building in 2014 and they’re speaking portuguese hahaha I’m serious. The other night I woke up at 2 30 in the morning to music blaring and singing from our neighbors house…..you can’t call the police, complain, ask them to stop…no no, why it’s Carnaval! (heavy sarcasm). Anyways this is one part of the culture of Brazil I will not embrace. Along with this many people are not home because they’re at the beach getting smashed, no one is working this week either-majority of places are closed. Except for markets-everyone is there buying more liquor than I’ve seen in my life….seriously carne-val (meat-flesh/natural man status) is something else. I’m excited for it to pass so we can actually get out and teach people that are sober. Butttttt let me talk about some cool experiences that did happen this week. First of all tuesday we went back to some contacts we had made previously and taught a lesson on prayer. We invited Raquel (the mom) to say a prayer after we finished. We asked her what she’d like to express in her prayer she responded quickly peace and good health (what most people throw out when we ask them to pray). We agreed but then explained this prayer was special and that we wanted her to imagine that Christ was sitting in front of her, what she’d like to ask Him. After we asked she remained quiet….I watched patiently as tears filled her eyes and she began to cry. She chocked on her words and said that she was a sinner, that she didn’t deserve to ask Christ for anything-then she cried harder. We just sat there and let her cry for a couple minutes and then I looked at her at bore my witness about the power of the atonement and its reality. I felt the spirit so strong as I testified to her that none of us are unworthy enough to pray and talk with our Father in Heaven. He ALWAyS has His arms open for us. And there is always away to change and receive forgiveness through sincere repentance. 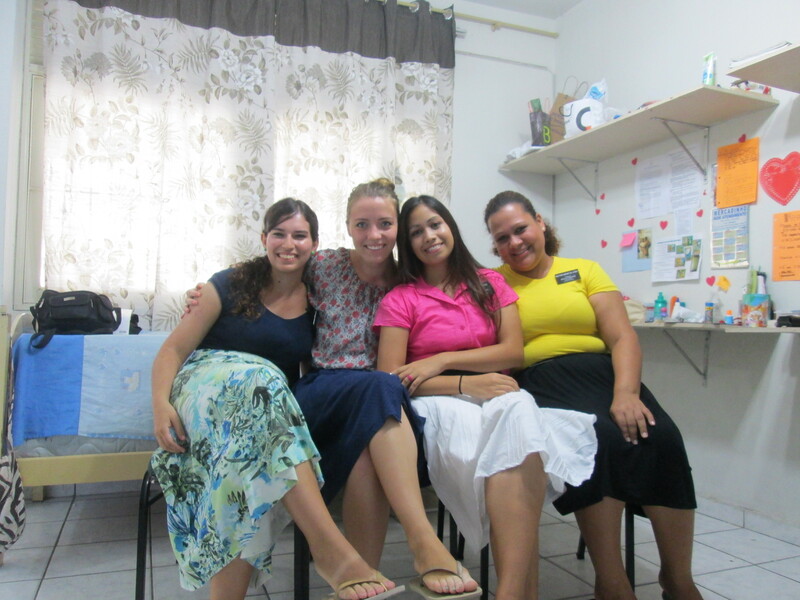 It was awesome.Sister Montalvao shared her testimony as well and strengthened the spirit that was present. So rad. Raquel thanked us and said with a light in her eyes how grateful she was to hear that it wasn’t too late and she felt so much happier already. Hopefully we can go back and keep teaching her when she’s home. Another sweet experience was to see Salete be confirmed and given the gift of the holy ghost this week in sacrament meeting at church. She was beaming from ear to ear. I love that little lady! She is learning little by little with the small understanding she has but I know the Lord is leading her along, I know that she is exactly where He wants her to be. I love being a witness of this. 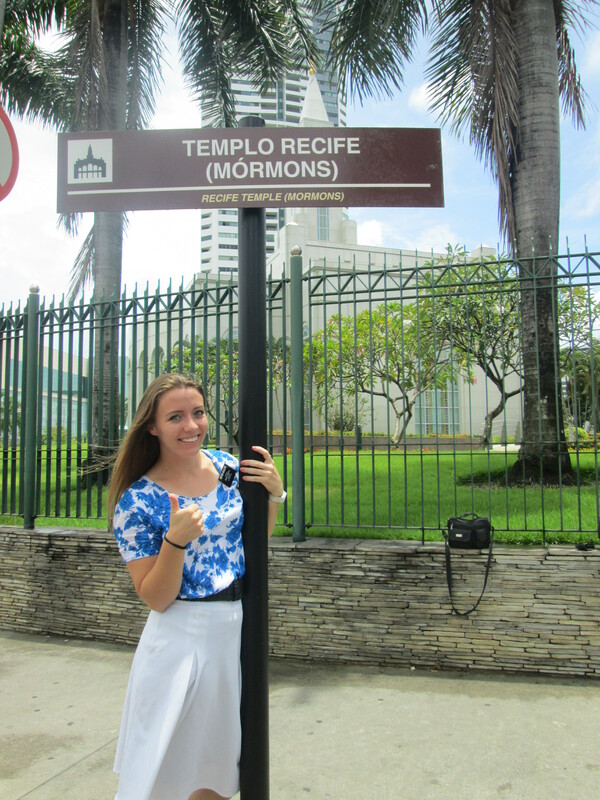 This sacrament meeting was extremely special to me for another reason. And that was having the opportunity to see Edelson bless the sacrament.I always remember having gratitude for the worthy hands that prepared and blessed the sacrament each week in church. Being a worthy priesthood holder isn’t always an easy thing, but worthiness is essencial for this saving ordinance of the sacrament. I know Edelson was prepared to prepare and bless it. I was so proud of him, he was so careful and calm-it was awesome. I am so so so grateful I got to witness that as well. being fast and testimony meeting we got to hear testimonies including his. He talked about how each of us are little missionaries with seeds to plant (the gospel). He then shared 1st néfi capítulo 3 versículo 7 saying that the Lord wants us to be missionaries and will help/provide a way for each of us to be. SOOOOOO SWEEEEEttt! Love this guy! haha I was grinning thinking “wow, what a stud! he is progressing soooo well” I am so excited to see where he’ll be in a few years. Married in the temple starting a family hopefully! To finish I want to share an experience that I had today that was very special. The other day I was pretty discouraged with the work and how I was feeling personally with not giving it my all/doubts etc. Basically beating myself up-something I’ve had a struggle with through out my mission…pushing pushing pushing to do more be better. I got pretty down and felt like I’d been more distant from the Lord than I’d like. I went downstairs and began reading a few different accounts in the Book of Mormon such as Ether, Moroni and Alma. I then grabbed my study journal that I had used a ton in michigan (I have like 4 study journals haha) and started reading through alllll of my notes from district meetings, conferences, interviews, personal study etc. pretty sweet and then I grabbed my 2nd mission journal (my personal one that I try to write in every couple days-I now am on my 3rd mission journal-woop woop!) 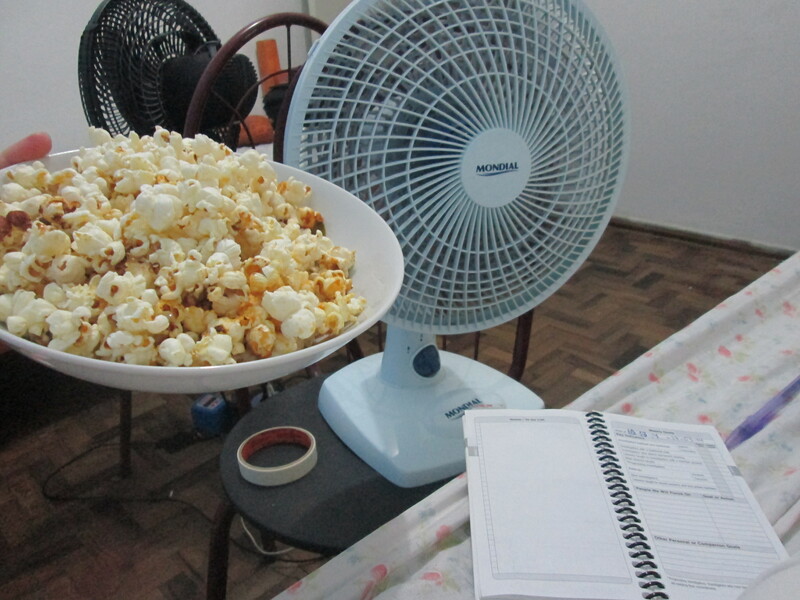 and began reading from my last transfer in michigan until I arrived here in Brazil. And all I can say is WOW I am so stinkin blessed. I was humbled so much knowing that many times I felt alone or abandoned that really the Lord was RIGHT there all along. Seriously, it was as if someone smacked me on the head saying “Hello! McFly!”. I went into my room and knelt down and prayed asking for forgiveness of my aloofness/ignorance and just thanked the Lord for all of the blessings I’ve received from being on my mission. It is incredible, and I am so so so so so glad that I took the time to write down these experiences because had I not, today I probably still would’ve been bummed. I love President Henry B. Eyring-he always talks about journals/writing/tender mercies/recognizing the Lord’s hand in our lives. I know this is true. Today was An exact experience of the validity of this truth. He is inspired, as well as our Prophet and the bretheren. I am so grateful for them. So 1. If you have a journal write in it/reflect on it too. 2. if you don’t have a journal get one and start writing. Whether it’s a paragraph or a page a day you will be so grateful you took the time to write. I love you all. I feel your prayers and thoughts all the time-thank you! 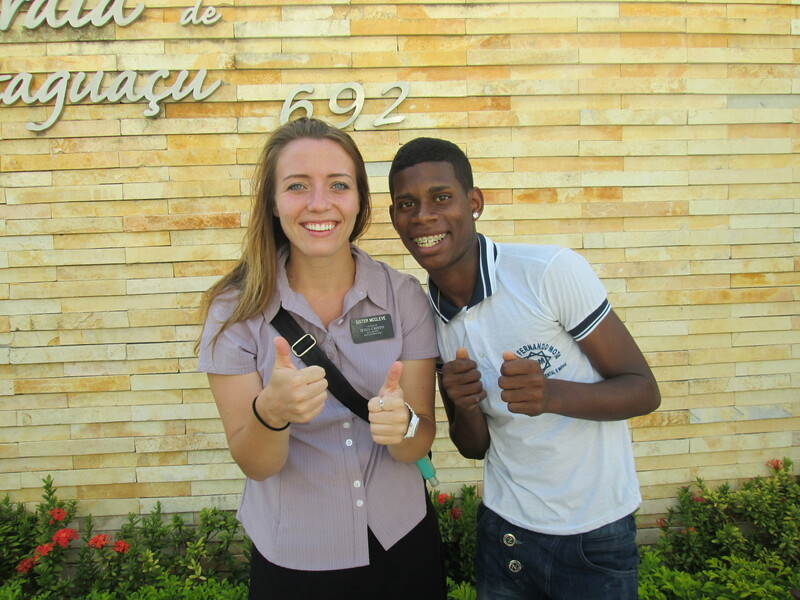 I love being a missionary-it is so difficult, it’s nothing like I’ve ever experienced in my life but I guess that’s why we grow so much if we open our hearts to the Lord. I know His hands are stronger than ours and can mold us into who He wants us to become. As many times as I’ve thought about giving up in the mission-Heavenly Father has been with me. And everytime I’ve picked my head up and kept going, He’s smiling. Knowing that with every rushing river to cross, mountain to climb, sea to sail that I have the strength and power from On High to overcome it all. He is my Maker, My Father, My King. first of all transfers were today and I’m staying in my area! another 6 weeks here with Montalvão. I like changes but I’m excited to keep up with the work here. Sister Orr left 😦 she got transferred so the next time I see her will probably be on our plane flight home hahaha. On a positive note Salete was baptized!!!! 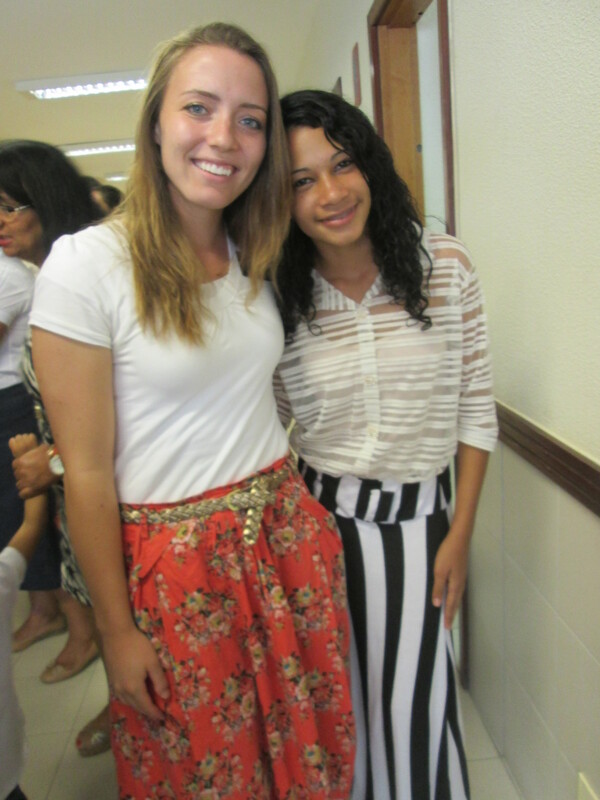 Sister Orr and sister Torres had a baptism too so we had 2 sunday! awesome awesome awesome. Salete was so cute! She said she felt better than she ever had in her life and how happy she was so follow from now on So Cristo (only Christ) ha so rad. Love the fire and desire she has to do what is right. Even with such a battered past with mistakes she made she is clean and has a chance to start over. I know that repentance is real along with the miracle of forgiveness. No matter what we’ve done, there is always HOPE. Miguel was also confirmed on sunday too! His mom has tried to keep him from going to church by making up excuses saying he needs to tend to her needs when she’s sick etc. and also go to her church with her tuesday nights…..so annoying. We ended up going to his house sunday morning and having a bit of a SSD (spiritual smack down) with him telling him that the only person that doesn’t want him going to church and strengthening his testimony is satan. That he has to make the decision who’s side he’s going to be on. There is NO fence sitting in the gospel of Jesus Christ folks, it doesn’t work that way. We are either becoming better and more like the Savior (the natural desire of our spirits) or following and giving into the natural man Mosiah 3:19. He came to church and I think he’s got a better idea of the fact that baptism is JUSt the 1st step. He also received the aaronic priesthood-exciting! The talk the 4th missionary talks about how we as humans are constantly changing, we are always thinking, seeing, hearing and therefore having different thoughts, actions, comforts, desires etc. So who are we trying to change into and become????? More like our trusting, loving, forgiving, perfect Heavenly Father? Or the father of lies? It’s bold but necessary that we evaluate ourselves and decide who we want to be. Who we are going to follow and HOW we can act to do so 🙂 Anyways I know I just went off on a rant but really every day matters. Every decision makes a difference because we are constantly becoming/changing. So I hope and pray that each of us can remember that it is our Heavenly Father that see’s our divine potential of who we can become. What direction are we heading towards? Up “It’s always better to look up”-President Monson. We had to drop a lot of investigators this week but we’re again (like usual) excited to pick up new ones. Have to go! Love you all! Also our ward mission leader is AWESOME!!! He is helping make a difference in the ward already! Love you all and thank you so much for your letters and prayers and support I love this work! I love being a servant of the Lord. I am proud to be His emissary. 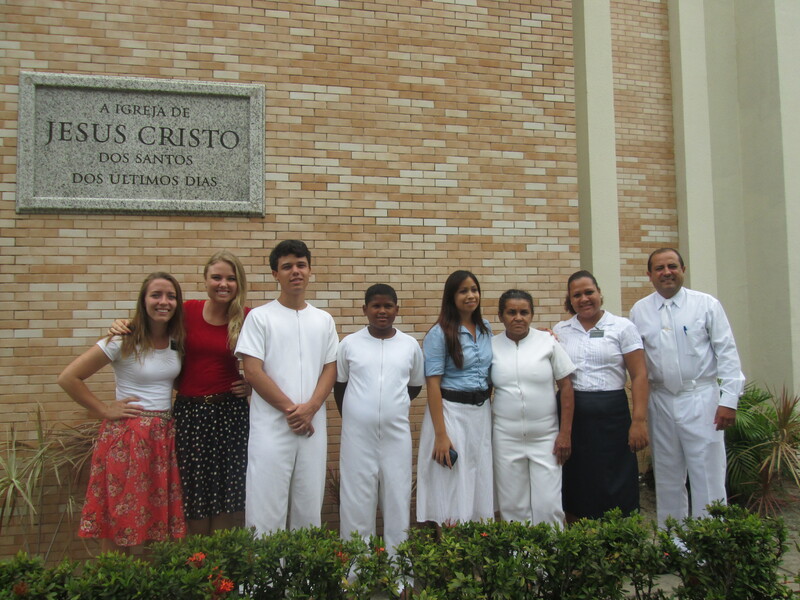 Sister Orr and sister Torres had a baptism too so we had 2 sunday! This week was slow…trying to find new people to teach to add to our teaching pool that will progress. 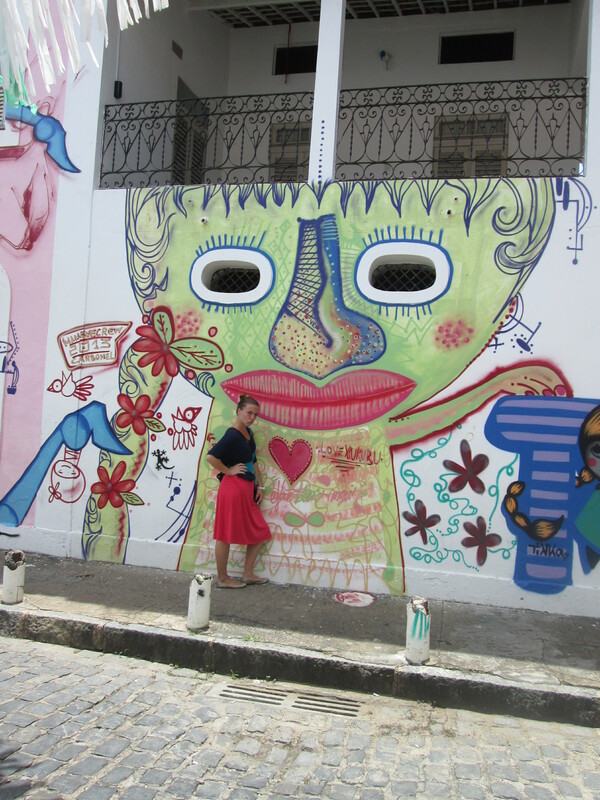 One new investigator imparticular that I want to talk about is Sarlette-a cute older lady that lives in the communidade (favelas). We contacted her on the street and she said she’d come to church with us on sunday. She actually already knew one of the members in the ward that she was excited to see. She came, loved it and wants to be baptized. As we walked back with her to her house after church I asked her how she liked it/felt (I love asking this to people-it’s so amazing). She said “I adored it, all of it. I feel so good. 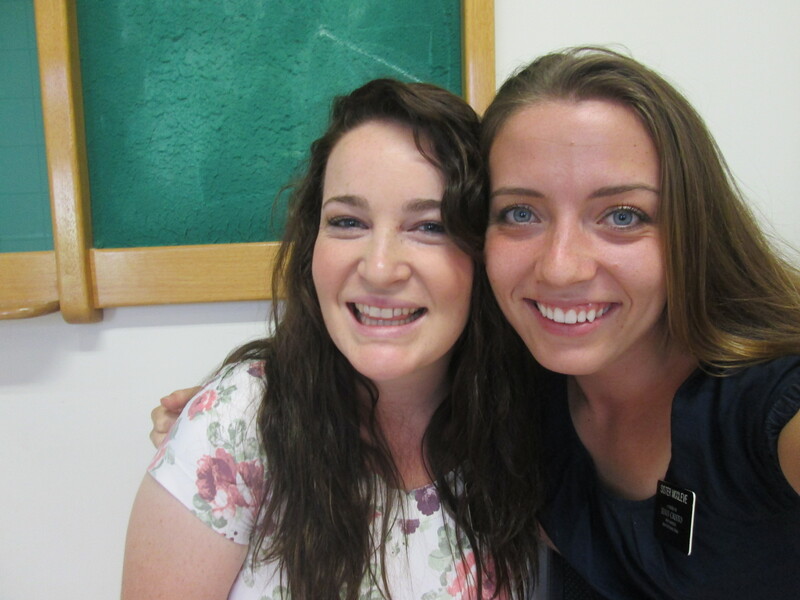 Ever since you two girls came and talked to me that day I’ve felt better and better and I want more.” As we talked about the spirit and how he works and testifies to us in our hearts she said that she knew that these feelings were from the Savior and that she wants to keep following Him for the rest of her life. She doesn’t want to be in darkness anymore. So cute. I’ve been so humbled by the people I’ve taught and served with here. Many can’t read, don’t have luxuries- smart phones, laptops, cars, some have little or no education. And yet their hearts are so big and open. They just love. I am grateful for the experiences I’ve had here in Setubal for the last 3 months-I’ve heard and seen so much that has really changed my life. The Lord knows me, He knows us. He knew I needed to come here and have these experiences. I want to say my heart is a little sad knowing that Grandpa Goodman passed away. I am so grateful that he and grandma came up for my farewell and setting apart. I am so grateful for the example he was of being someone so positive and loving. I always felt that every time we went down to california to visit. So much love. Especially because we were kind of adopted into the Davis family haha, I really felt like his grand daughter-that always meant so much to me. I am so grateful to know that he is working up in the spirit world sharing the gospel just like he did here on earth-well prepped I’d say 😉 Grandpa truly blessed many lives here on earth and will continue to do so until we see him again. That being said how grateful I am to know that families can be together forever through the saving ordinances of the gospel that we have on the earth. In Matthew 16:19 we read; And I will give unto thee the keys of the kingdom of heaven: and whatsoever thou shalt bind on earth shall be bound in heaven: and whatsoever thou shalt loose on earth shall be loosed in heaven. To seeking minds and true. it clears the human view. I truly feel at peace because of the gospel and I know that our view is so limited as mortal beings here on earth but because of the light of the gospel our perspectives are opened and we have a grander and more glorious view. I love you all and praying for our family. 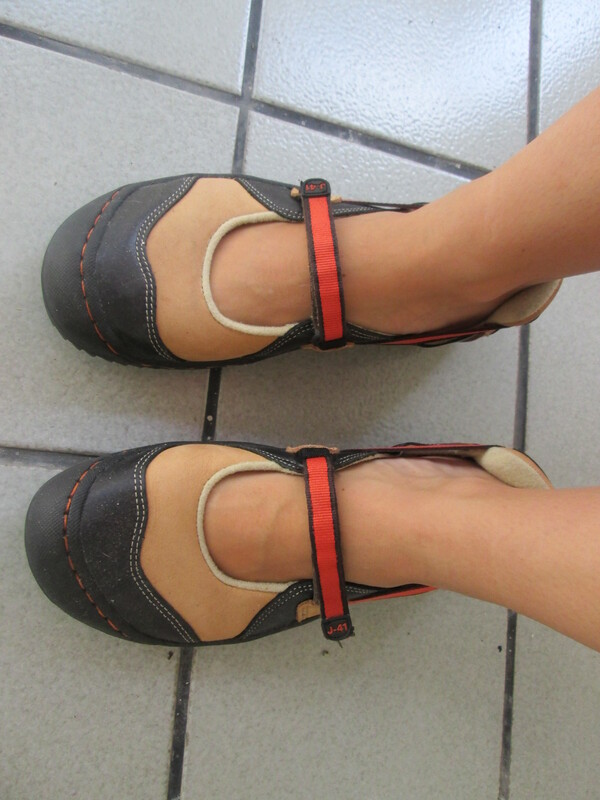 Here are the photos of my shoes. They are awesome, but I need to break them in a little more. So sister M and I were walking and we passed a gas station and this older man 60’s waves us over. So we go up and I introduce myself like usual and my companion who I notice is a few feet behind me holding her ground appearing stiff. I turn back around to see him right up in my face and he says “You are very pretty, are you married? do you have kids? how many kids do you have?” I tell him no no and start talking to him about the church and how every sunday he can go and visit-he cuts me off again and says that he has a business that he runs and by doing so he is very rich and he would provide for me haha sister Montalvão then cuts him off and says ” ya, well actually her dad is also a very rich business man so this won’t impress her” hahaha and then he says that he also has a farm with MANY MANY Cows (apparently cows in brazil have a lot of value and signify wealth???) to which I could live with him on this farm and have a family with him. Sick. Once he started talking about cows I got lost haha he asked me where I was from and I said germany (for kicks). He tried to speak something and I just said Gutten tahg and we walked away. Hahaha ya I had to ask my companion afterwards exactly what happened. She told me “Wow sister, I love you, you are so dedicated….always trying to share the gospel even with crazy old bachelors” haaha. I should’ve known I was walking on ice when I noticed my companion keeping her distance from this hot shot. Oh well-good story for laughs right? This week was sweeeet. Why? Because we had a miracle baptism. Yes. Miguel. Check this story out. So 2 weeks ago we went to our zone meeting. And we decided we would have a fast for a sister in our zone who’s health was suffering so much that she was in the hospital-yikes. Sister Montalvão and I were already planning on fasting the next day for spiritual uplift and to help with the work (yes fasting definitely pulls down the powers of heaven if you’re worthy and giving your all to the Lord). So we ended up beginning our fast that day at the zone meeting. 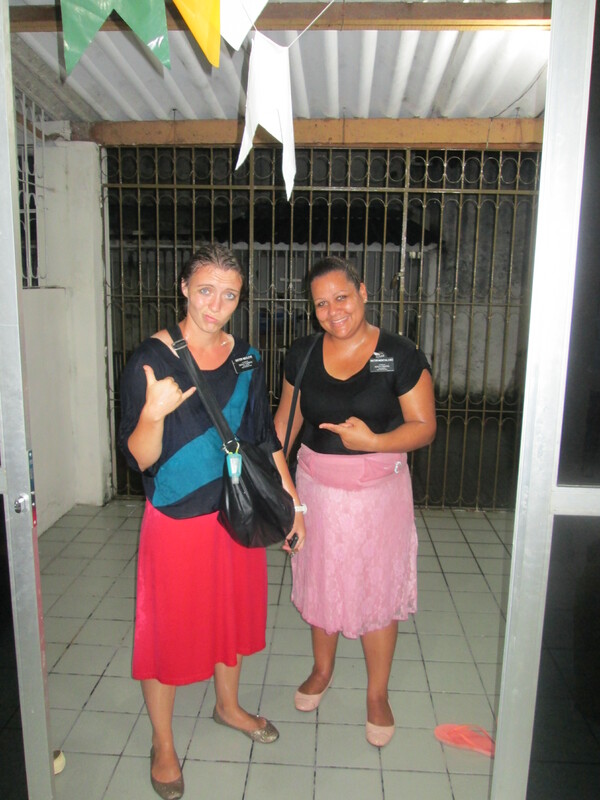 Literally 15 minutes after as we were walking back to go back to our area we get a phone call from a brother in the ward who called saying the following;”Hello sisters, I have a grandson that lives with me that I would like you to come and teach and baptize, when can you two come over and teach him?” Ya….HELLO PRAYERS ANSWERED!!!!! 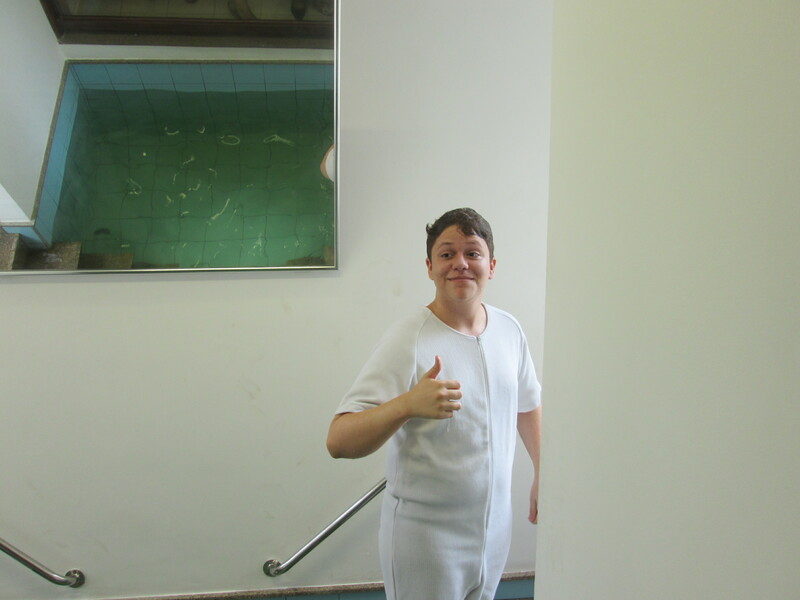 SInce that day we taught him (jan 28th) and he was baptized yesterday the 9th. Amazing. He is awesome. 16 years old, lives with his grandparents because his parents seperated and since then the relationship has been rough with them. 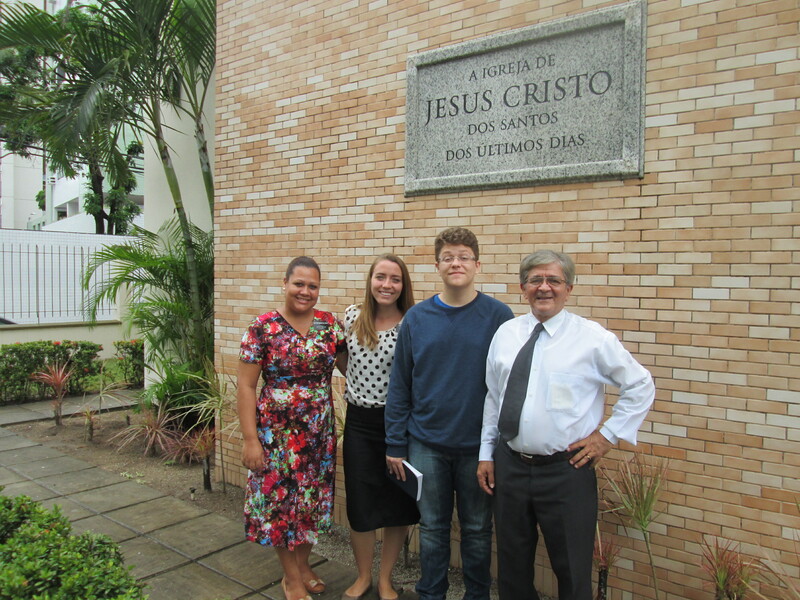 His grandpa is an active member of the church, his grandma is a member of A Assembléia De Deus (basically an evangelical church that talks smack about us to everyone). Haha so it’s kind of a funny situation. Miguel visited MANY churches through out his life and never felt like any of them were right. He moved in with his grandparents and of course his grandma took him to church which he REALLY didn’t like (funny how that works) and still felt lost. He got the courage (he’s kind of shy) to go to church with his grandpa last week after we started teaching him and was baptized yesterday. So cool. 2. Heavenly Father will provide a way. We didn’t have anyone that was really progressing or accepting the invitation for baptism at this time, and Heavenly Father brought us Miguel. This is the Lord’s work, and if we do it HIS way according to HIS will (or trying to at least because we’re not perfect instruments in His hands here people…) He will consecrate our efforts. Oh yes He will. So please I encourage all of you to ponder about who you talk to about the church or maybe you never have and have wanted to. We don’t know who the Lord has prepared to to hear the gospel, but He is preparing the hearts of the children of men to hear our message. Believe it. And if you don’t, test it out for yourself. 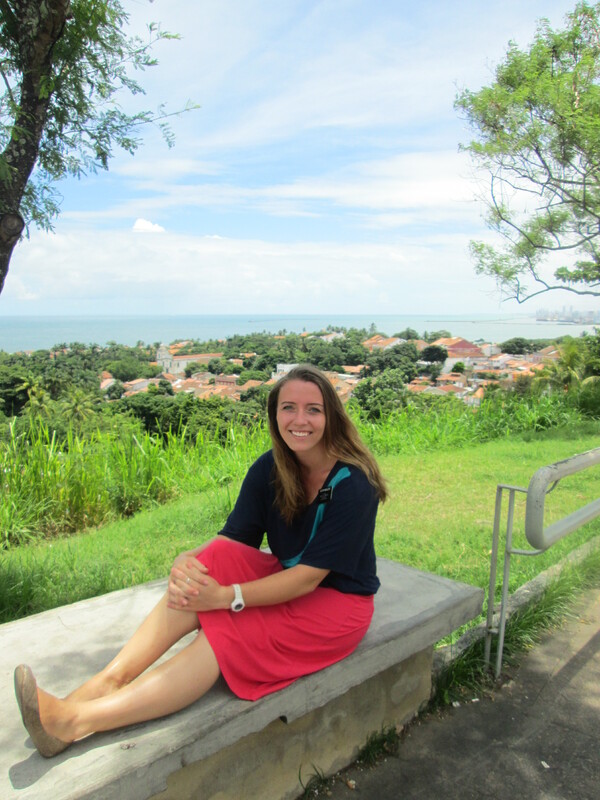 I challenge EACH of you to find someone (with prayer and thought) to give as a reference to your local missionaries. Heavenly Father isn’t just in need of His full time missionaries….He needs all of us to help in this work. 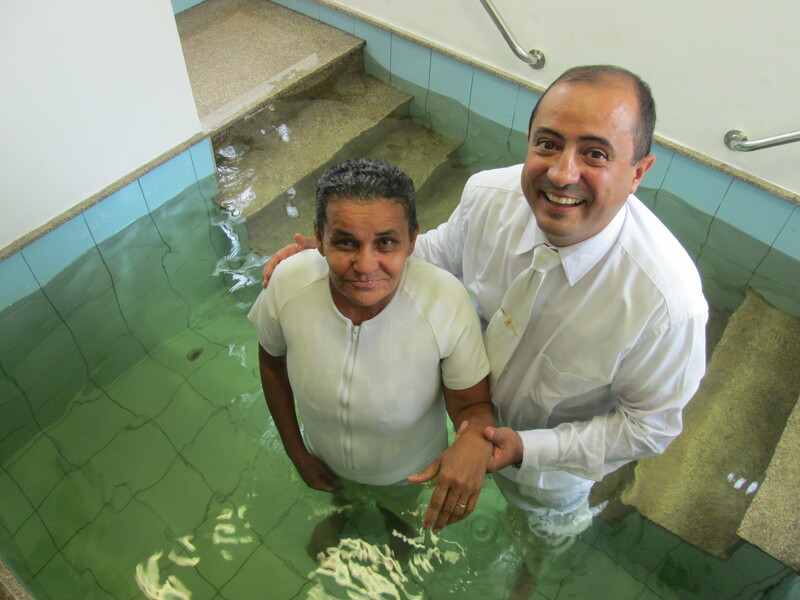 When this happens….like this dear Irmão (brother) and us as the missionaries what happens? 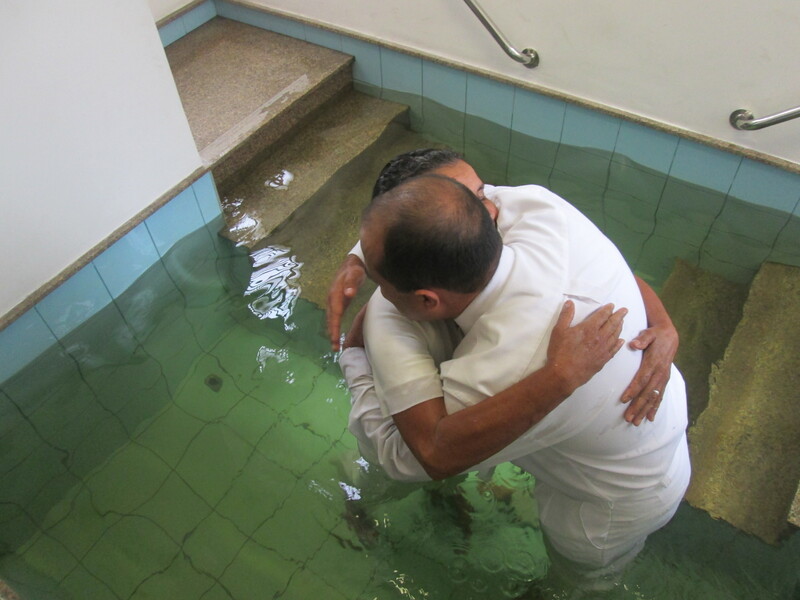 Another child of our Heavenly Father, Another brother or sister of us enters into the waters of baptism and receives the the joy of the everlasting gospel in their life. Maybe it won’t take just 2 weeks like Miguel but that doesn’t mean we give up. They are out there 🙂 The elect. It’s gatherin time people- lets hop to it!! Me and Elder Schenk! He finally got to Brazil after waiting….7 or 8 months. Hang in there Geoffrey!